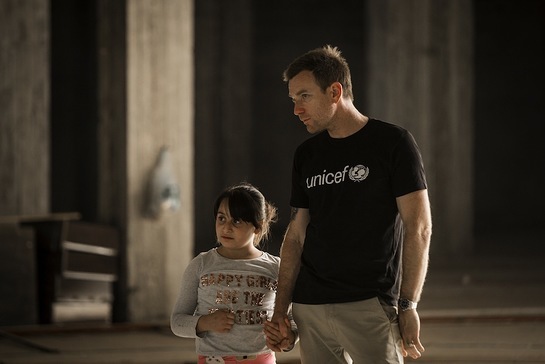 UNICEF Ambassador Ewan McGregor travelled to northern Iraq last week to see how the conflicts sweeping across Iraq and Syria are devastating children’s lives. Tens of thousands of children have been killed, injured, separated from their parents, forced to work, tortured and recruited into fighting. “Children uprooted by conflict can find themselves alone, without family and in grave danger. No child should be alone. Many of the children I’ve met in Iraq have been forced to flee their homes, risking their lives on dangerous journeys and have been exposed to unimaginable horrors,” said UNICEF Ambassador Ewan McGregor. "The world is facing an unprecedented refugee crisis and we must do more to protect the extraordinary number of children who have been torn from their homes by violent conflict.